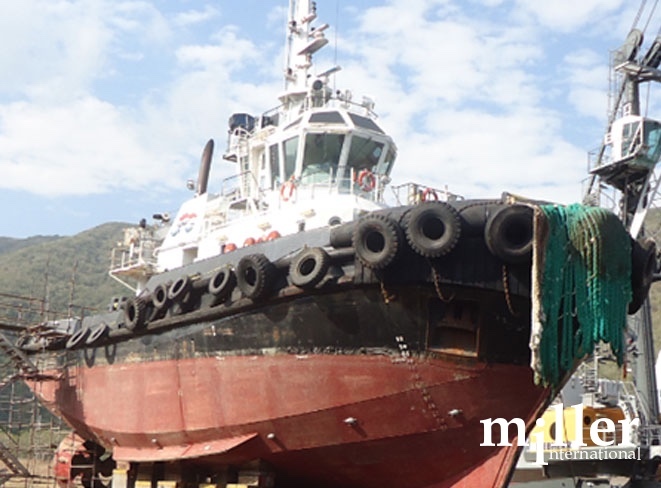 A 100-foot long, 485-ton tugboat ran aground in shallow waters in the Caribbean Sea several miles offshore. As a result of the heavy impact with the coral/rocky seabed, its two drive units (port and starboard) were damaged. At the time of the event, the ship was in service providing docking manoeuvres to large vessels. 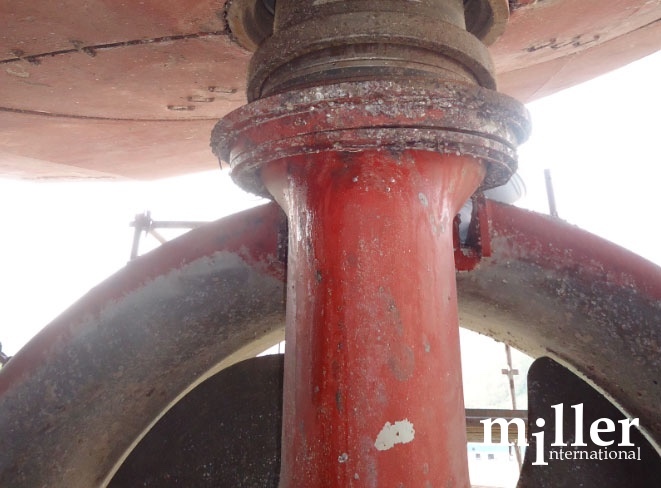 At the dry dock, our marine inspectors observed that the most significant damage from the accident was the downward displacement of more than 50 cm, of the port rotor due to the breaking of the fastening bolts, and minor damage to the propeller nozzle. We also noted that damage to the hull was minor (localized paint scorings, no perforation or denting), and that marine vegetation was present, which is not related to the incident. 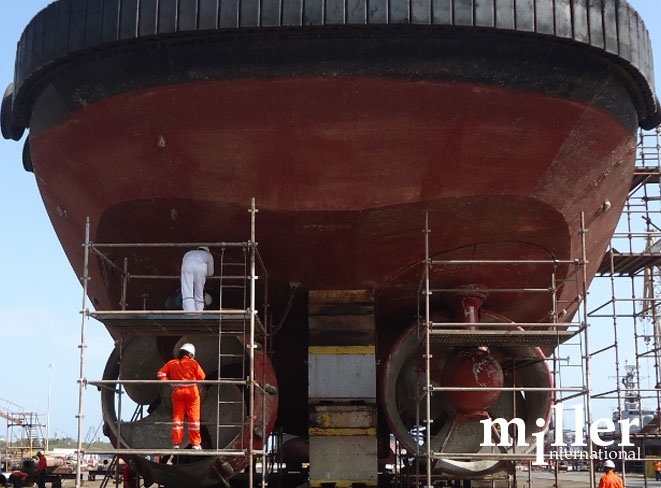 Although the ship-owner ordered the balancing and rectification of the blades of the two azimuthal units, these works were not associated with the reported incident and corresponded to regular maintenance. 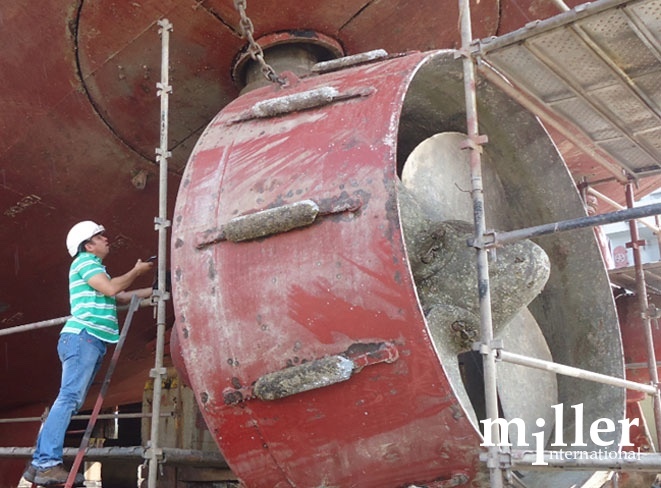 Similarly, work carried out on the hull to deal with corrosion was not recognized.